Weeks after landing on Earth, the Hundred have managed to create a sense of order amidst their wild, chaotic surroundings. But their delicate balance comes crashing down with the arrival of new dropships from space. These new arrivals are the lucky ones - back on the Colony, the oxygen is almost gone - but after making it safely to Earth, GLASS's luck seems to be running out. CLARKE leads a rescue party to the crash site, ready to treat the wounded, but she can't stop thinking about her parents who may still be alive. Meanwhile, WELLS struggles to maintain his authority despite the presence of the Vice Chancellor and his armed guards, and BELLAMY must decide whether to face or flee the crimes he thought he'd left behind. It's time for the Hundred to come together and fight for the freedom they've found on Earth, or risk losing everything - and everyone - they love. This is a great ending to the series! I'm glad it stopped here, since there isn't much to go on from. The ending was good, and it wasn't dragged on at all. With the Colony on Earth, the Vice Chancellor Rhodes has taken control with an iron fist. He's ruthless, resembling more of a dictator than a democratic leader. Even when Wells tries to give him input and advice, he laughs it off like Wells in an inexperienced child and ignores him. Well, it's safe to say that this was his downfall. There are some teary reunions and some hateful glares. Glass and Clarke meet again on Earth, and although they were not the best of friends in space, they put aside their differences and worked together on Earth. Clarke is still the one and only medic for everyone, rushing around and treating the injured and the dying. But isn't that a bit unrealistic? How can one person treat thousands? I don't know. In the end, the final fight against the more violent Earthborns was brutal. Suddenly, all the Colonists and all the 100 know how to fight professionally. How are there not more casualties? Anyways, the best part about this fight is how the Colonists and the 100 are finally working together. The two groups corner the Earthborns and force them to retreat. It's good to see the Colonists seeing the 100 as allies and not fugitives. I feel that there has been quite a lot of character development for all the characters. Wells has definitely changed. He's learnt to step up and take charge when things are bad. Before, he didn't have much confidence in himself, but now he can't handle quite a lot. Clarke? She's thrown away the self-pity feelings and found her anchor in Bellamy. Speaking of Bellamy, I feel that he is the only character who hasn't changed much since the beginning. Okay, he has fallen in love with Clarke and is friends with Wells, but he is still the brooding, impulsive man. He's around 19-20, and he still acts like a 16 year old. 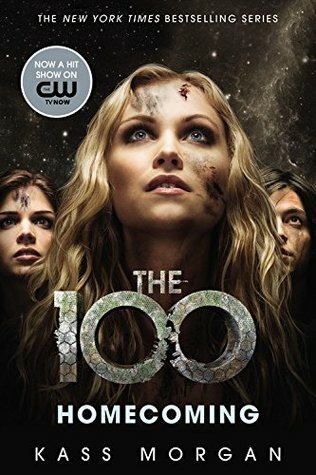 This is a good conclusion to the 100 trilogy (at least, I think it's a trilogy) and I hope that the TV show is equally good! 1) I love the quote you shared at the end! !